Almond oil is one of the most popular natural hair loss solutions. It contains several beneficial ingredients for the hair including omega-3 fatty acids, vitamin E, phospholipids and magnesium. Almond oil is rich in essential nutrients that are important for healthy hair growth. Aside from polyunsaturated and mono fatty acids, it also contains vitamin D, vitamin A and B vitamins. These nutrients promote the growth of healthy hair and they help repair damaged hair as well. Vitamin E is very important for healthy hair and it has been shown to offer powerful conditioning effects as well. The powerful antioxidant improves hair and scalp health allowing healthy hair to grow. A lot of hair care formulations contain almond oil because of its nourishing and conditioning properties. It can even make your hair smoother and prevent coarseness. It keeps the hair cuticles healthy which allows them to grow long, thick and strong. It helps prevent the hair from becoming easily damaged. Almond oil also helps make/keep the hair shiny and vibrant. It is natural to lose around a hundred hair strands daily. This doesn't affect total hair volume because there is new hair growth replacing the old. The problem is hair fall can become more than normal due to reasons like lack of nutrients and the use of strong hair care products. Hormonal imbalance, stress and environmental pollutants can also lead to excessive hair loss. Almond oil can be used as a natural hair loss cure because of its high nutritional value. For instance, it contains magnesium that is important for healthy hair and normal growth of hair. It also contains calcium and the zinc essential for healthy hair. Studies have shown zinc deficiency is a common cause of alopecia which is characterized by thinning hair. Almond oil is rich in these essential minerals that are the reason it is a well-known natural hair loss treatment. There are many hair care products on the market containing almond oil as a primary active ingredient. When buying these products, you should be careful and make sure it doesn't contain potentially harmful ingredients that may worsen hair loss. Look out for harsh active ingredients like chemicals and other additives. It would be best to use organic formulations or just buy organic almond oil designed for hair. 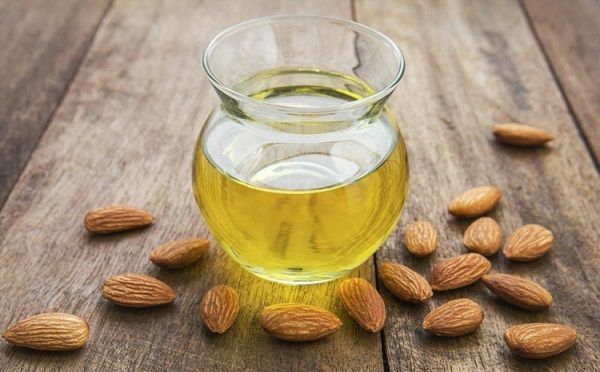 You can use Organic Almond Oil by applying it to the scalp daily preferably after taking a shower or bath. Rub it gently and make sure it is absorbed by the scalp thoroughly. It would be best to leave it on for about 15 to 25 minutes to make sure its nourishing properties are fully utilized. You can even leave it on overnight for optimum effects. You can also add almonds and almond oil to your diet to utilize its nutritional profile and work from the inside in making your hair healthy. Combine equal parts of Organic Almond Oil and Castor Oil then add a piece of torn Hibiscus flower. This is a combination of the most powerful natural ingredients for hair growth. Warm the mixture slightly before applying to the scalp then massage for at least 10 minutes. Wrap your head in a towel and leave it on for at least 45 minutes to allow the scalp to absorb the essential nutrients. Use shampoo to wash the oil away afterward. This should be done two times a week and thicker hair will be seen in a few months. It would be best to buy certified almond oil although this would be more expensive. This would be best since it wouldn't contain potentially harmful ingredients that can worsen hair loss or cause other adverse effects. Make sure to read the label of the product carefully and check for signs of contamination. Some online research would ensure you end up buying the best product for your hair.